Tafisa’s solution to durable, responsible decorative surfaces. TafiPan high-performance particleboard, using only recovered and recycled wood residue. Choose from over 90 standard designs that reflect global design trends in several market segments, as well as over 500 designs and colors from companies such as Wilsonart, Coveright and Aborite. 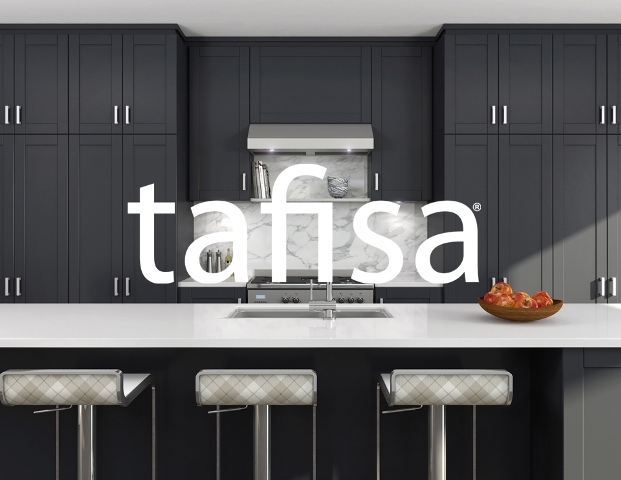 Tafisa s 4 state-of-the-art TFM presses fuse these decoratively designed papers to TafiPan or Tafipan-Eco core, creating both true-to-life wood grain designs and other aesthetically appealing solid colour or printed panels. Four different surface finishes and textures are available, giving you the choice of a variety of gloss levels and woodgrain textures that are realistic enough to impress the pros. We share design intelligence with suppliers of such complementary products as edgebanding, mouldings, 3-D films and high-pressure laminates as well as with manufacturers of 5-piece doors, thermoformed doors and specialty doors. This important advantage makes it easier for you to specify the elements for a beautifully finished product or project. Thermofused melamine panels and high-pressure laminated panels have their own unique properties and manufacturing processes. They are often used hand-in-hand in design projects, since both are well-suited to specific applications, to yield the most durable and economical colour-unified result. Thermofused melamine (TFM) has an impeccable reputation when used in commercial and contract furniture environments: retail fixtures/interiors, healthcare furniture/interiors, office desks and storage, conference tables, waiting rooms and hotel rooms and lobbies. The moisture-, wear- and stain-resistance surface properties of thermofused melamine equates to easy cleaning. A dropped spoonful of ice cream is wiped away in no time using an ammonia-based glass cleaner, even if it’s been there for hours! Note: Avoid using acidic or alkaline products, or any abrasive substance that could damage the surface of the panel.